The Martin Wright Memorial lecture at Sussex University was recently attended by thirty-five Modern History students from BHASVIC. 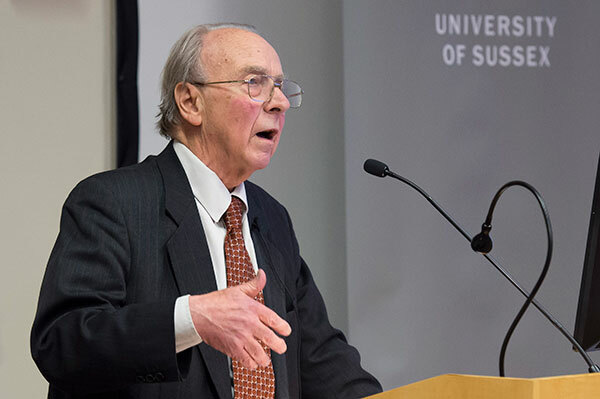 The lecture was on ‘Trust and Distrust in Russia: The Heritage of the October Revolution re-examined’ by Geoffrey Hosking OBE, FBA, Emeritus Professor of Russian History, University College London. The lecture was thought provoking and many BHASVIC students took the opportunity to ask Geoffrey Hosking questions afterwards. It was great to see a new generation of potential Russianists meet one of the most eminent historians in the field!